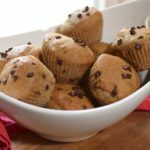 Soft and moist chocolate chip muffins that are made with good quality ingredients and refined sugar-free! 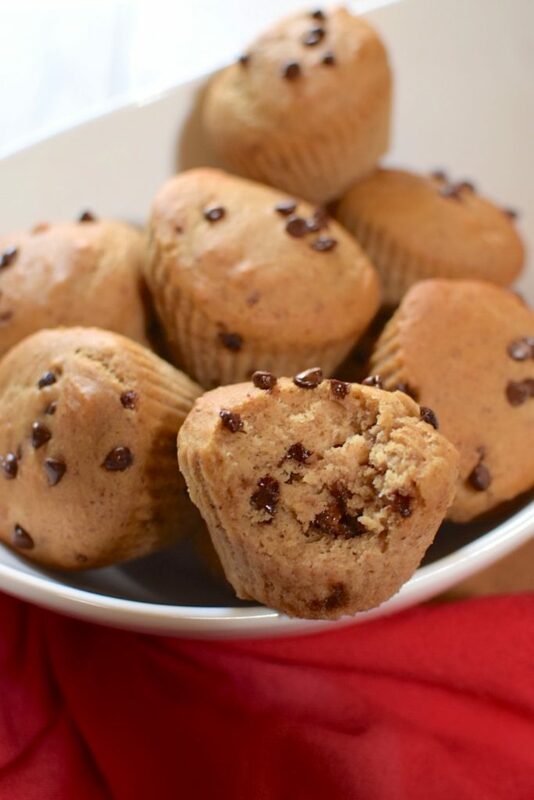 These muffins make the perfect dessert or afternoon snack any day of the week! In our house, we love having good quality baked goods around. That way when we’re craving something sweet, we don’t binge on something less ideal. It helps keep our sweet tooth satisfied while still following a healthy diet. You read that right, we enjoy sweet treats while still eating healthy. We do this by making things from scratch using good quality ingredients. What constitutes good quality ingredients, you ask? 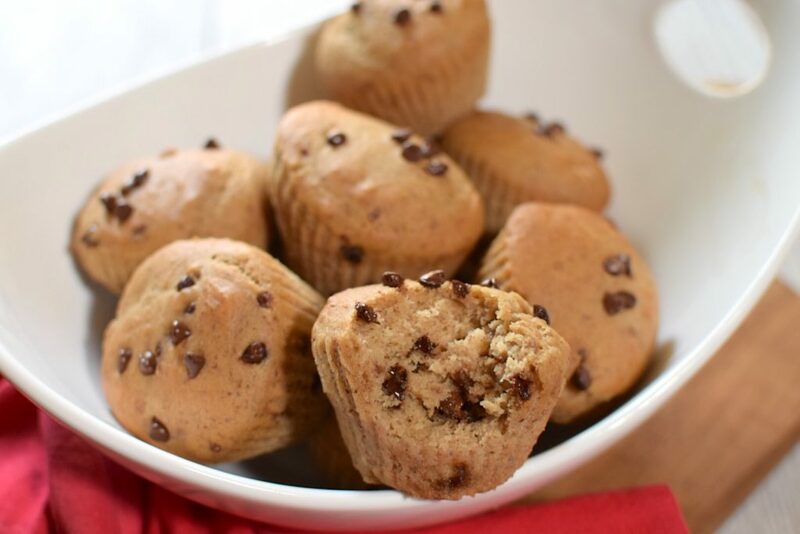 Well basically minimally processed and unrefined is a good start 🙂 In this recipe, a gluten-free flour blend replaces white flour making these muffins, well… gluten free. For the sweetener, coconut sugar replaces white, refined sugar which is better for our teeth and for our bones, and avocado oil replaces vegetable oil adding a good dose of healthy fat. Sugars like coconut sugar, maple sugar, maple syrup and brown rice syrup are considered unrefined sugars because they still maintain some nutrients. For instance, coconut sugar contains zinc, calcium, potassium, antioxidants, and a fiber called inulin, which slows glucose absorption. now don’t get me wrong. Sugar is sugar is sugar. Resist the urge to stat adding MORE sugar, in the form of coconut sugar, just because it has nutrients. 🙂 But if the only change you make in your diet is swapping out white refined sugar for some of these alternatives, you’ve already made a step in the right direction. To replace the egg in this recipe, flaxseed meal creates a flaxseed egg. Check out our post How to Make a Flax-Egg for more information on these Vegan Eggs. I’ve found that Flaxseed Eggs can be used in most baked good recipes that call for two or less eggs. When replacing more than two eggs, the flaxseed can make the finished product a little too gummy. A key to making Flaxseed Eggs is letting them sit for at least 5 minutes to gel. As you’ll see in this recipe we mix the wet ingredients first and let them sit while we work on the dry. That allows the flaxseed to start creating a texture similar to an egg. Check the ingredient list of your gluten free flour mixture. 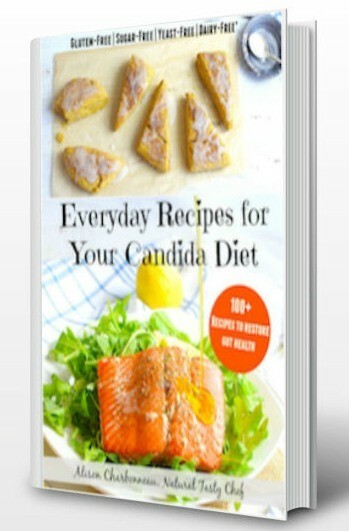 If it already contains xanthan gum or guar gum, there’s no need to add more. Trader Joe’s Gluten Free Flour Blend does NOT contain xanthan gum or guar gum. 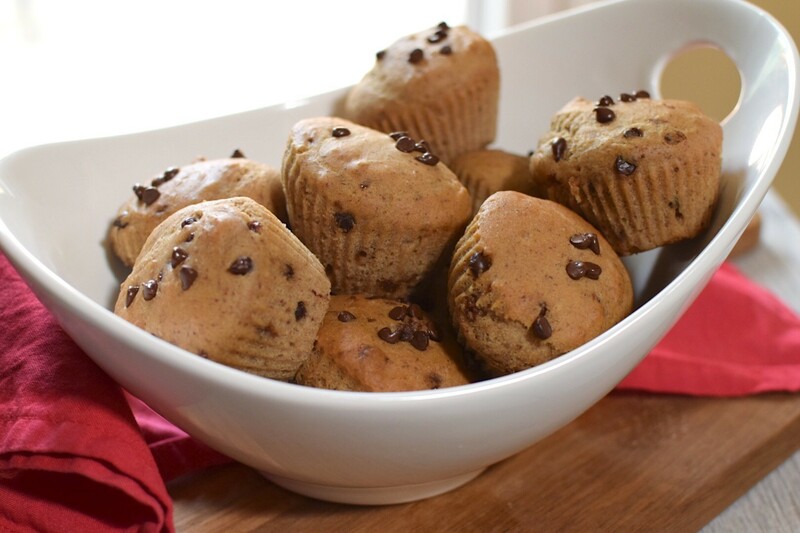 To keep these muffins totally refined sugar-free, use stevia sweetened chocolate chips. I like Lily’s Brand. As mentioned above, make sure to mix your wet ingredients first to allow the flaxseed meal to gel up properly. About 5 minutes of sitting should do the trick. Once you combine the wet ingredients with the dry, avoid over-mixing. Over-mixing will lead to a dense baked good. Okay, now let’s get baking !! Preheat the oven to 400 degrees with the oven rack in the middle. Line 12 muffin cups with paper or silicone liners. In a medium sized mixing bowl, combine all the wet ingredients with a whisk. let sit while mixing the dry ingredients to allow the flaxseed meal to gel slightly. In a large mixing bowl combine the gluten free flour, coconut sugar, baking powder, xanthan gum (if using*), baking soda and sea salt. Use a whisk to remove any lumps. Pour the wet mixture into the dry and using a spatula or wooden spoon gently stir to combine. Make sure everything is fully combined, but be careful not to overstir as this will cause muffins to become gummy. Lastly, stir in the chocolate chips. 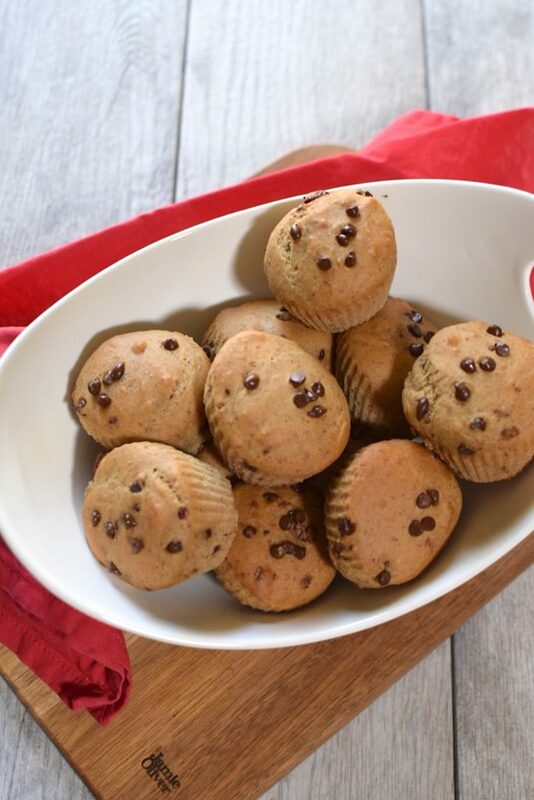 Pour about 1/3 - 1/2 cup of batter into each muffin cup and top with a small sprinkle of chocolate chips. Bake for about 15 minutes, or until a toothpick comes out clean. *I like Trader Joe's Gluten Free Flour Blend. **My favorite chocolate chips are Enjoy Life Mini Chips. 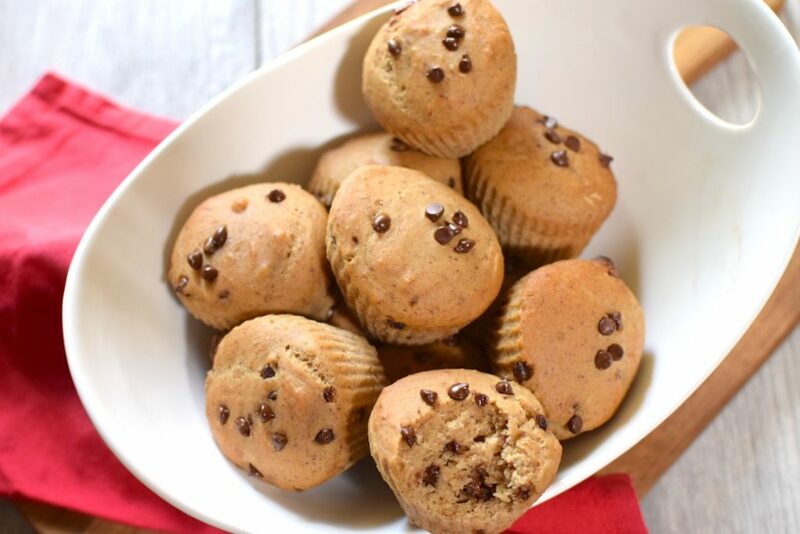 For a sugar-free chocolate chip, use Lily's Stevia Sweetened Chocolate Chips. 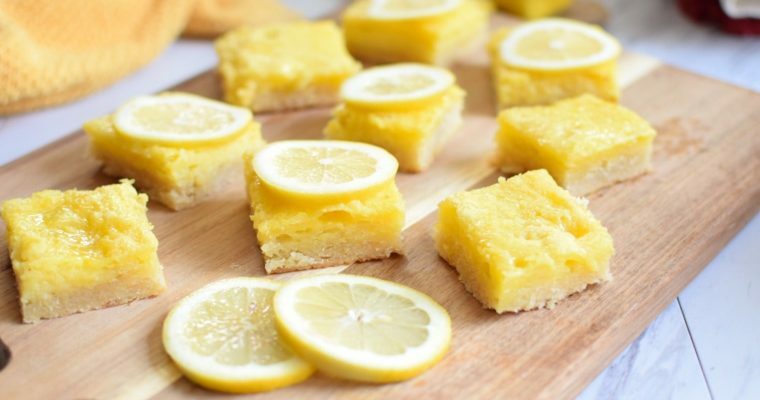 Decadent and sweet Lemon Bars that totally work on an anti-Candida diet. With a gluten-free crust and a soft, lemony filling, they are proof that being on a specialty diet does not equal boring or tasteless! 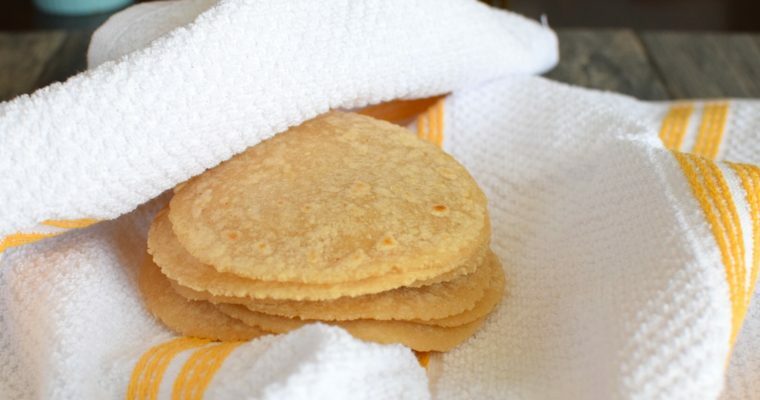 A soft and chewy grain free tortilla that looks, feels and taste like a traditional flour tortilla! These Nut Free Paleo Tortillas are going to be your new go-to wrap!